Born in 1938 Al Braggs first recorded in 1953 as part of The Five Notes, he first recorded under his own name in 1958 for the Texas label: Peacock. 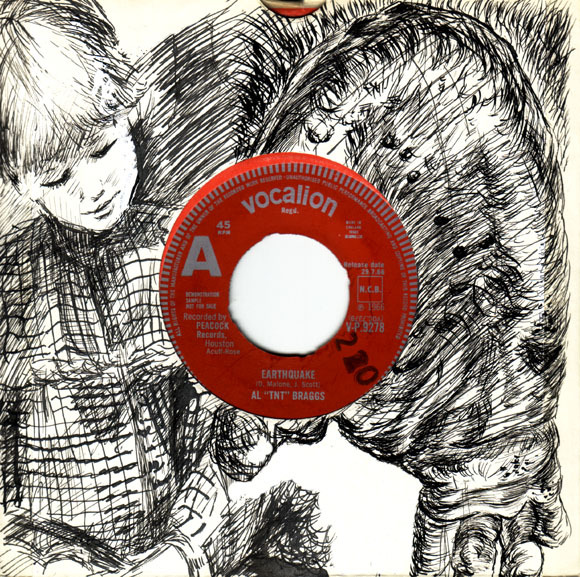 Earthquake was his ninth single for the label, and was something of an underground hit for the club goers in the South of England during the winter of 1966. The British Vocalion label also issued an EP by him, which showcased two earlier releases from 1962 and 63.